If oil companies were secretly interested in drilling off the Washington coast — which is doubtful — then I suspect that state and tribal officials scared them off yesterday. It’s one thing for an oil company to sign a lease with the federal government. It’s quite another thing to go up against other sovereign governments determined to use every means to make the venture unprofitable. In a press conference yesterday, Gov. Jay Inslee said the Legislature could pass laws that establish new taxes or limit the use of port facilities needed to service oil rigs. “We could set up our own safety standards, for instance, that frankly the industry may not be able to meet,” Inslee said. “So, yes, we have multiple ways. Counties and cities would also have jurisdiction. The entire press conference is shown in the first video below. As Inslee prepared to take another question at the press conference, Public Lands Commissioner Hillary Franz, who oversees the state’s forests and aquatic lands, quickly wedged up to the microphone. She pointed out that Washington state has the authority to lease — or not — much of the deep-water areas in Puget Sound and along the coast, including areas used by local ports. The state would have a say over almost any infrastructure the industry might need to develop along the shore, she said. In addition, the state has ownership over vast shellfish resources, Franz noted, and so state officials would have a clear interest to protect against any damage that might result. Attorney General Bob Ferguson said if the leasing plan goes through, it would be challenged in court on many grounds. Just one example of a legal violation, he said, is the off-handed way that the Trump administration exempted the state of Florida from the leasing plan. Chad Bowechop, policy adviser and member of the Makah Tribe, explained that tribes have legal rights under the treaties to protect the environment in their native lands. He noted that the press conference was being held in the very room where legislation was signed to dispatch a rescue tug at Neah Bay. The bill was the result of oil spills that had damaged the natural and cultural resources of the area. Drilling, he continued, would be in conflict with the tribe’s cultural and spiritual values. 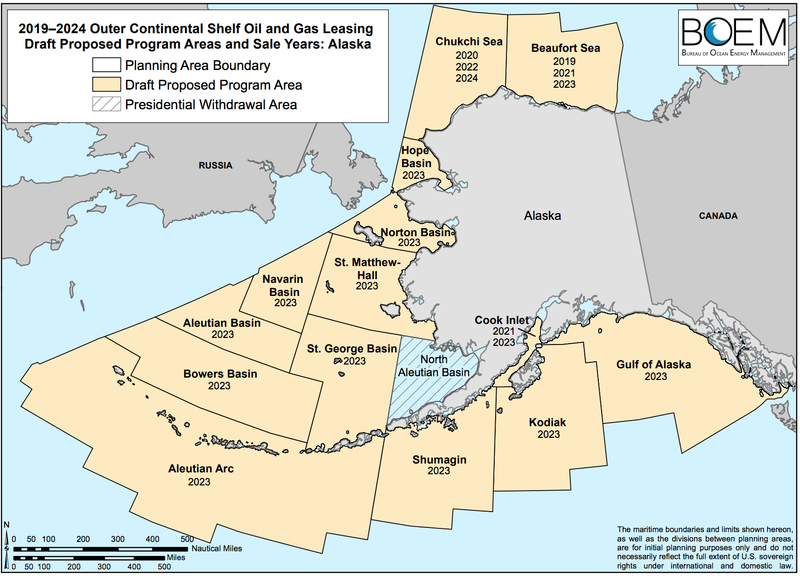 As a legal trustee of the ocean’s natural resources, the tribe “will pledge to work closely with the other resource trustees,” meaning the state and federal governments to prevent offshore oil drilling. Early today, Washington Sen. Maria Cantwell appeared on the Senate floor to protest the oil-drilling proposal. She talked about the natural resource jobs that would be threatened by drilling activities. Check out the second video. Now that Alaska Gov. Bill Walker has asked the Trump administration to dial back the offshore drilling proposal in his state, all the West Coast governors stand in opposition to the drilling plan. In a press release, Walker said he supports offshore drilling, but he wants Zinke to focus on the Chukchi and Beaufort seas along with Cook Inlet. Alaska’s congressional delegation, all Republicans, previously made the same request in a letter to Zinke. The members are Sens. Lisa Murkowski and Dan Sullivan and Rep. Don Young. Except for three U.S. representatives, Washington’s and Oregon’s entire congressional delegations — four senators and 12 representatives — signed a joint letter to Zinke asking that both states be excluded from further leasing plans. The only Washington-Oregon lawmakers not signing the letter are Reps. Dan Newhouse and Cathy McMorris Rodgers, both Republicans representing nearly all of Eastern Washington, and Rep. Greg Walden, a Republican representing Eastern Oregon. The Trump administration’s announcement of an open season on offshore oil drilling all around the edges of the United States has put some congressional Republicans on the hot seat during a tough election year. Opposition to the proposed oil leases along the East Coast is reflected in the negative comments from Republican governors Larry Hogan of Maine, Charlie Baker of Massachusetts, Chris Sununu of New Hampshire, Henry McMaster of South Carolina and Rick Scott of Florida. None want to see drilling anywhere off their shorelines. “Of course I oppose drilling off of New Hampshire’s coastline,” Gov. Sununu said in a statement made to New Hampshire Public Radio. Just days after Interior Secretary Ryan Zinke announced his plan to issue leases for oil and gas exploration and development nearly everywhere, he decided to let Florida off the hook — to the relief of Gov. Scott, who is said to be a close friend of the Trump administration. It appears that Zinke is admitting that oil and gas development can harm the local tourism industry. Needless to say, the other Republican governors also would like a piece of that “support” from Zinke, as reported in a story by Dan Merica of CNN News. Meanwhile, on the West Coast, Democratic governors and many members of Congress also oppose the drilling plan — with the exception of Alaska, where Gov. Bill Walker supports expanded drilling anywhere he can get it — even into the Arctic National Wildlife Refuge. I discussed the ANWR drilling proposal in Water Ways on Nov. 16, before approval of the Republican tax bill. 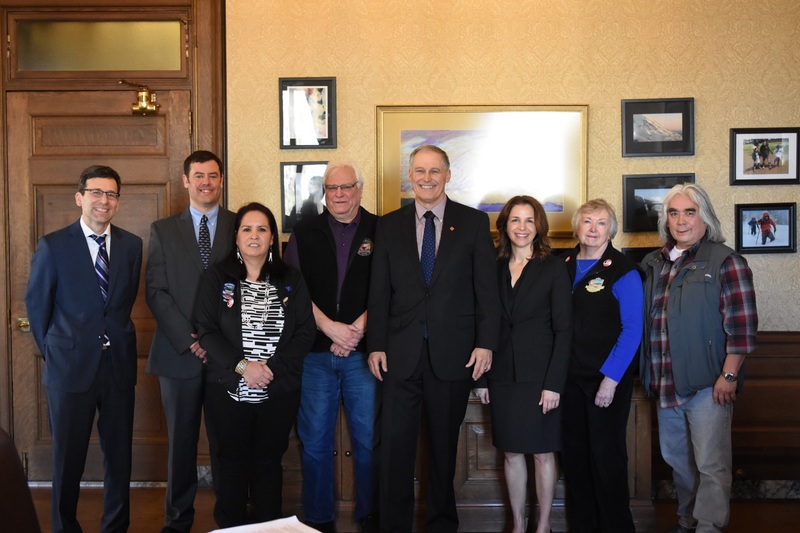 Democrats in Washington state’s congressional delegation are unified in their opposition to offshore drilling, and most of them support legislation that would take the entire matter off the table for good. They are joined in their opposition by Rep. Dave Reichert, a Republican from the Eighth District. 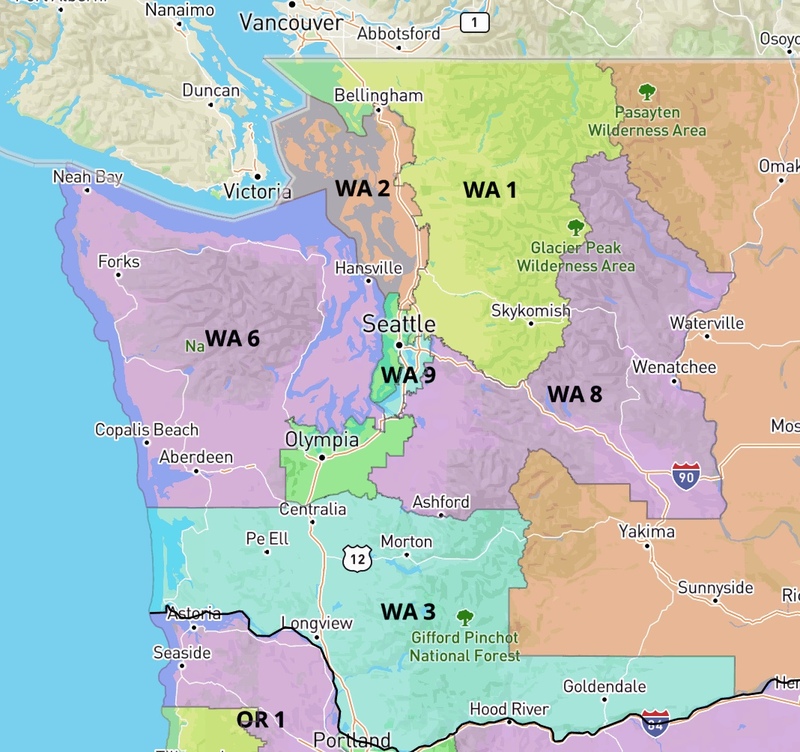 Congressional districts in Western Washington. Jaime Herrera Beutler, a Republican who represents the Third District — including coastal areas in Southwest Washington — was a little more low-key. Letter in opposition (PDF 974 kb) from 109 U.S. representatives, including Washington’s Suzan DelBene, 1st District; Derek Kilmer, 6th District; Pramila Jayapal, 7th District; Dave Reichert, 8th District; Adam Smith, 9th District; and Denny Heck, 10th District. Letter in opposition (PDF 997 kb) from 37 of the 50 U.S. senators, including Washington’s Patty Murray and Maria Cantwell. 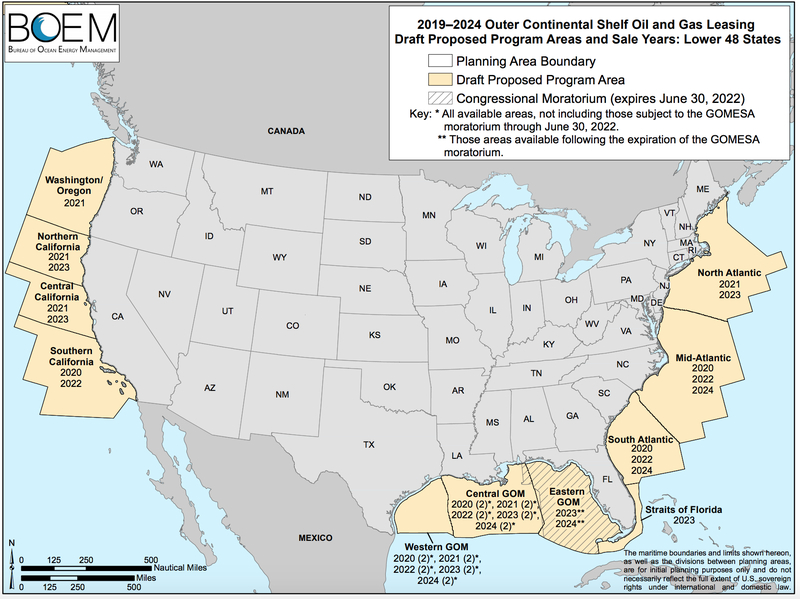 With substantial opposition from all sides, the looming question is whether Congress will allow the leasing program to move forward before expiration of the existing five-year plan for offshore drilling (PDF 34 mb), which ends in 2022 and focuses mostly on offshore drilling in the Gulf of Mexico. While the California Coast remains a key target for oil companies, it is unlikely that we will ever see oil rigs off the Washington Coast, no matter what happens with the leasing program. Oil and gas resources simply aren’t known to be there, according to all published data. During the 1960s, 10 exploratory wells were drilled with no significant finds off the coast of Washington and Oregon, according to a 1977 report by the U.S. Geological Survey (PDF 10.2 mb). Some 14 other wells were drilled without result offshore near Vancouver Island in Canada. Many more onshore wells have been drilled without major success throughout the region. In 2008, I explored the idea of offshore drilling in Washington state when the George W. Bush administration attempted to lift the offshore-drilling moratorium. Officials told me at the time that even if oil companies were given free rein, they would not line up to drill off our coast. Gov. Jay Inslee, who was a U.S. representative at the time, said offshore drilling was a diversion, because much better alternatives exist on land. Because of climate change, Inslee was pushing Congress to encourage renewable energy sources, as he continues to do today as governor. The latest proposal by the Department of Interior is subject to public hearings, including one scheduled in Tacoma on Feb. 5. Check out the full schedule of 23 hearings. Federal funding to restore Puget Sound and other large U.S. estuaries would be slashed by more than 90 percent under a preliminary budget proposal coming from President Trump’s administration. Funding for Puget Sound restoration would be cut by 93 percent, from the current budget of $28 million to just $2 million, according to figures cited by the Portland Oregonian and apparently circulated by the National Association of Clean Air Agencies. Here’s the list. The Great Lakes, which received a big boost in spending to $300 million in the current biennium, would be hammered down to $10 million. Chesapeake Bay, currently at $73 million, would be reduced to $5 million. Much of this money goes for habitat protection and restoration, the kind of effort that seems to be kicked to the bottom of the priority list, at least in these early budget figures. The new EPA administrator, Scott Pruitt, appears to be focusing on upgrading water infrastructure, cleaning up toxic sites and reducing air and water pollution, although everything is cut deeply and details remain murky.